FenwayNation—Red Sox, Mookie, J.D., Bogaerts, Sale, JBJ—Founded 1/27/2000—9-Time Champs: Red Sox Sport Wicked Ugly Uniforms For The Holidays! 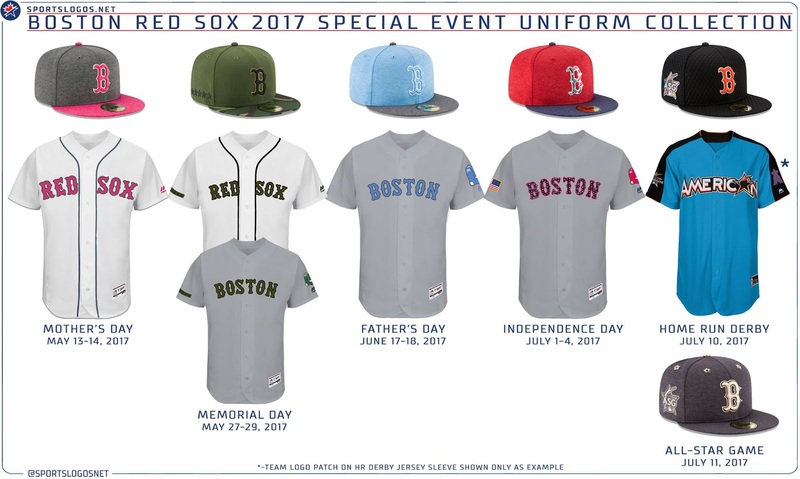 Red Sox Sport Wicked Ugly Uniforms For The Holidays! The Boston Red Sox have one of the classiest, traditional uniforms in all of baseball. Nevertheless, the pressures of MLB marketing essentially force the team to sport ridiculous uniforms on certain holidays. For example, this year, on Father's Day, they will wear a completely ludicrous powder blue combo—the hat in particular being absurd. Similarly, Mother's Day will be pink to the max. Memorial Day's military green is at least tolerable to the eye. If it were up to us, the Red Sox would wear only home whites at Fenway and only road grays away. No red tops, no blue tops—nothing! Call us 'sticks-in-the-mud' if you must. Actually, we wear that moniker proudly!